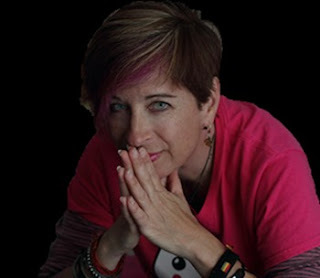 Kristin Pedemonti, from USA, is an award winning, Cause-Focused Storyteller, Speaker, and TED Talks talent search finalist, Kristin builds bridges between people and breaks down stereotypes and barriers through stories of hope, understanding, perseverance and resilience. She currently works as a Storytelling Consultant for the World Bank. Kristin is the 1st American Storyteller invited to perform in Iran at the Kanoon International Storytelling Festival. She shows you a world where we are all interconnected and encourages everyone to realize their story matters. She performs & presents worldwide sharing Traditional & True Tales. Here is her interesting Youtube Channel.